Phenylketonuria is a rare metabolic disorder that affects the way the body breaks down protein. If not treated shortly after birth, PKU can be destructive to the nervous system, causing intellectual disability. 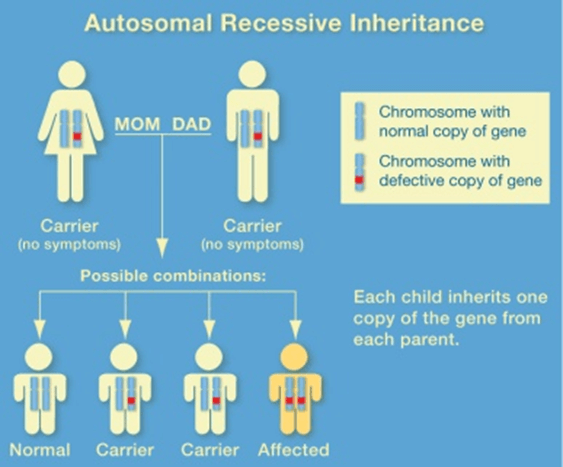 PKU is caused by a mutation in a gene on chromosome 12. The gene codes for a protein called PAH (phenylalanine hydroxylase), an enzyme in the liver. This enzyme breaks down the amino acid phenylalanine into other products the body needs. 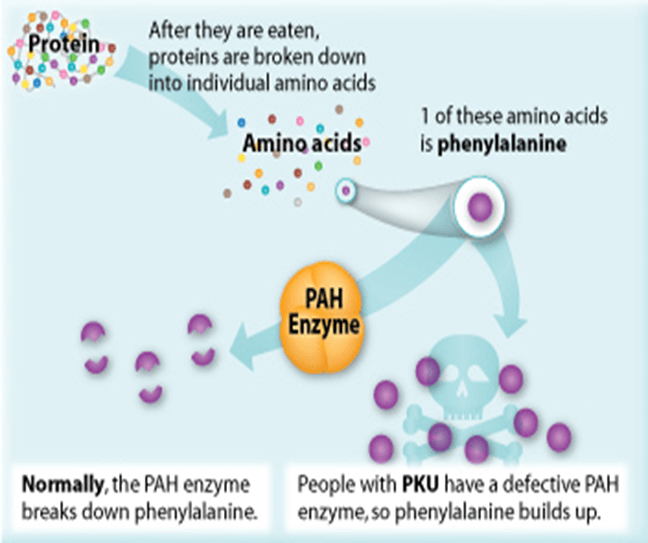 When this gene is mutated, the shape of the PAH enzyme changes and it is unable to properly break down phenylalanine. Phenylalanine builds up in the blood and poisons nerve cells (neurons) in the brain. About 1 out of every 15,000 babies in the United States is born with PKU.